Have a question on X3? X3 is available in 11 different colors - Black, Alpine White, Black Sapphire Metallic, Glacier Silver Metallic, Mineral White Metallic, Deep Sea Blue Metallic, Mineral Silver Metallic, Space Grey Metallic, Carbon Blue, Sparkling Brown Metallic and Melbourne Red Metallic. 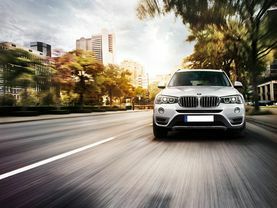 Watch latest video reviews of BMW X3 to know about its interiors, exteriors, performance, mileage and more. BMW X3 SUV review - What Car? What are the colors options available in BMW X3?